Don’t you get excited to meet new people? People who rock your world, who inspire you, you uplift you to be a better you? I get so excited to talk with all these different women, business owners, coaches, artists, dancers who are stepping up into their power and their expertise. I love bringing you people who inspire me, who are doing great work in the world, living their dreams, creating some sort of beauty in work and pleasure. Meet MaryAnn! In this interview, we talk about superpowers, her superpowers, and acknowledging our vulnerability as business owners, knowing what our expertise is, changing our money mindset, and how we can and need to reach out for guidance. Curiosity, curiosity, and making today the best day of your life… such a great conversation we have. How we see others and what we do for ourselves. Totally inspiring… I hope it inspires you too. So many great interviews over the last 2 years… wow! And some more great ones to come… stay tuned. Share this with anyone who would enjoy it. I love to expand the tribe. Thanks for being here, my friend, and for being part of my wild and wonderfully inspiring Heart and Hustle tribe! I see what’s standing between most coaches and the kind of income they want to create with their coaching. It’s the overwhelm of being a solopreneur. It’s the easy access to way too much information about business and marketing. It’s the inability to determine which pieces of information matter, and which strategies are a fit for you. And finally, it’s getting the right support to implement your strategy, once you find it. Because no one builds a successful business alone. Not even me. Not even you. I know first hand how hard it can be to start a business out of thin air and make it grow. It took me time to get it right, but I have learned what works. And I now teach coaches like you my proven system for starting and growing a thriving business. Listen on SoundCloud and iTunes! 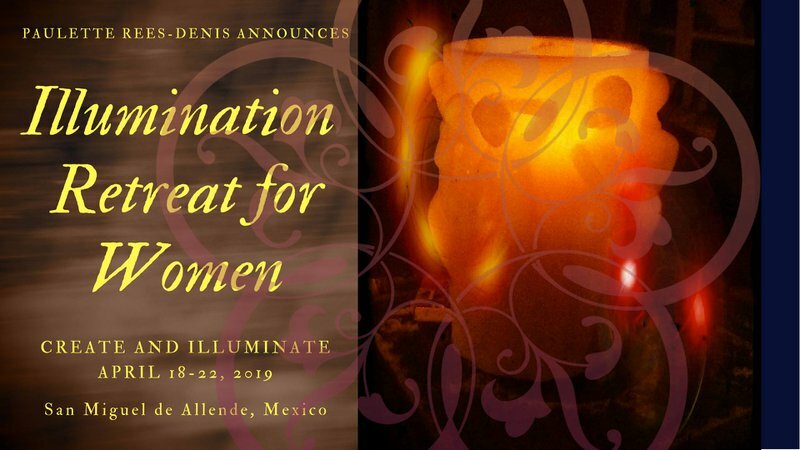 Illumination, the women’s retreat to San Miguel De Allende! The retreat to light you up! I’m excited to have this retreat filling up with amazing women who are ready to gain more clarity, take charge of their dreams, create more of their magic, to reconnect with inner and outer self, explore this colorful and art-filled town! What are you manifesting for your wild self? What are you desiring? Join us, myself along with powerhouse Theresa Pridemore, to move your body, connect with your spirit, open your eyes, get inspiration, create vision cards, eat delicious foods, walk through town and experience their ritual weekend of Samana Santa, revel in the ultimate in self care, YOU, doing this for yourself!–Stay in the Casa De La Noche, a beautiful house for us, oh, we dance and stretch, and write, get coaching, explore, and share. Ready for your next step? Illuminate your life and map out your desires! Check out my interview with Theresa from last night on Zoom, super fun… we talk about magic and archetypes and what we do! Are you longing and oh, so ready, for your bigger desires to manifest in your life? Let’s ignite your creative path so you can live an abundant, lit up, successful, and creative life!Together we gain clarity and identify what’s holding you back, so you can move forward to what your body, head, heart, and soul truly crave! Would you like a Free, 30-minute phone consult with me, and let’s find out what you are needing and how I can support you!Click here and schedule in that Discovery session now, with me, and let’s see where we can take you!